The Temple Bar - We're watching the Olympics (Go Canada!!) ;) - UYMFA!! That's right, folks! While the Octagon may lie dead in the darkest depths of the Lemonade Stand, there's a new club on the scene. We have some fresh competition in the neighborhood! 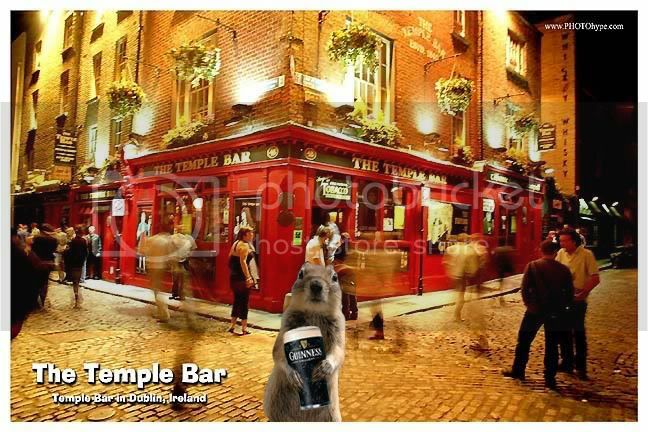 The Temple Bar ... would you join us? OMG - that 2nd guy! Right now I'm watching the ladies moguls event. It's the final run, and we've got 3 Canadians competing, one of whom has won (Jen Heil) gold the last couple of Olympics. The conditions aren't great weather-wise, but hopefully she'll have a good run, and get us our first gold of the games! Here's one of our athletes (he's a curler). I took this picture last weekend when I was downtown. 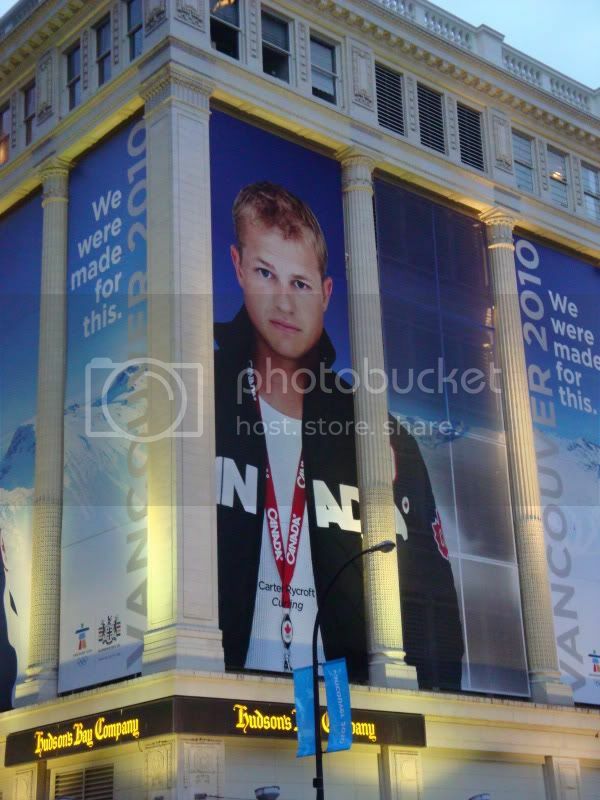 that must be pretty kickass to have an image of you that size...on a building! I know - it's crazy! We stopped to enjoy the view while we were waiting for a light to change so we could cross the street. It would be so weird to walk past and see yourself up there, larger than life. is it too late to edit your post? that temple bar pic has 0 hot dudes. 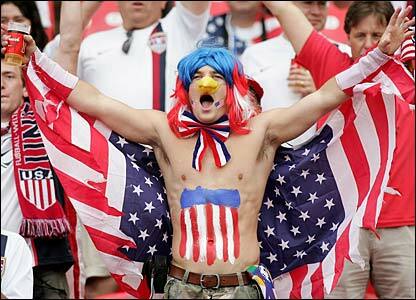 we should make flagcrotchman the new temple bar first post. It might not be too late, but that would defeat the purpose of the title! He's in the 2nd post, so it's very visible. Well, if I'm not here, you'll have to do your part to make sure that he appears on every page of this thread. Mia, your pics make me want to *almost* cheer for the U.S.A.
One of the Canadians just did her run @ the moguls, and we're in 1st!! 2 more Canadians to go, and hopefully we'll get the gold! Now he's ready for the winter olympics!